How Do Radiologists Fit Into ACOs? Dartmouth Institute for Health Policy and Clinical Practice Director Elliott Fisher, MD, MPH, used the term accountable care organization (ACO) during a Medicare Payment Advisory Commission public meeting back in 2006. By 2009, the phrase had become so widespread that it found its way into the language of the Patient Protection and Affordable Care Act. And while more than 23 million lives are covered by 744 ACOs as of January 2015, according to Leavitt Partners Center for Accountable Care Intelligence cited by Health Affairs Blog, the parameters of ACOs are still evolving. So what is radiology's role in the ACO care model? • providers share financial risks associated with inefficient, redundant, and ineffective care delivery. ACO proponents stress that accountable care differs significantly from the HMO model in several respects. They especially like to point to the fact that patients don't have to stay within the ACO network. HMO members suffered significant financial penalties if they left their networks for care. This strict control over patient referral patterns limited patient options and created devastating consumer backlash by the 1990s. Managed care became little more than a euphemism for managed cost. ACOs hope to hold down the cost of care while avoiding the missteps of their HMO ancestors. Ascendian Healthcare Consulting President and CEO Shawn McKenzie says that the differences go deeper than patient-choice issues. He sees ACOs using data more effectively. They have access to more detailed data these days, and they are leveraging that data prospectively. HMO data analysis tended to be more retrospective, reporting on what happened. ACOs are mining data for clinical decision support, using evidence-based medicine to promote appropriate care delivery. Suresh Mukherji, MD, MBA, FACR, radiology chair and CMO/director of health care delivery at Michigan State University (MSU), agrees: "Decision analysis tools like those being deployed at Massachusetts General Hospital are becoming available to provide clinical decision support. It's a lot easier for radiologists to rely on the computer implemented by a health system to tell a referring physician 'no'" when the orders fall outside best-practices guidelines. • in some ACO arrangements, providers share risk, having to repay a portion of costs exceeding the payer's established benchmark. • reducing the per-capita cost of health care. While emphasizing that ACOs are not a reincarnation of HMOs, Mukherji describes one of the biggest challenges in understanding (and preparing for participation in) ACOs: "ACO payments depend on how well you perform on certain quality-based payments. However, various private payers like Blue Cross/Blue Shield, Aetna, and others are each developing their own value-based schemes. There's little consistency from payer to payer." MSU's three biggest payers are Medicare, Blue Care Network (BCN), and Blue Cross Blue Shield of Michigan (BCBSM). Last year the university provided the same quality care to patients in each of the networks. The medical group was able to show a 63.8% reduction in outpatient utilization based on per-member-per-month data. BCN's plan rewarded the practice with a value-based bonus. At the same time, BCBSM reported that the group didn't qualify for its "uplift" bonus. "How can you reconcile that kind of difference?" Mukherji wonders. It's no wonder he sees the lack of criteria across competing private payers as the biggest impediment to progress in developing successful ACOs. Where Does Radiology Fit In? Continuing the traditions of legacy HMOs and patient-centered medical homes, ACO designers recognize a major role for primary care physicians to coordinate services for the patient populations under their care. Avoiding terms like "gatekeeper" (which emphasized an image of care-denial), most industry experts agree that a trained physician needs to oversee what's going on with his or her patients across providers, care settings, disciplines, and modalities. Specialists and subspecialists wonder how that's going to work. In most HMO/preferred provider organization managed care programs, referral forms and preauthorizations have become the main control mechanisms. Strict polices of "no referral, no payment" helped prevent specialists and ancillary providers from blindly filling orders from referring physicians. • raise radiation-dose awareness and improve safety. "At the end of the day," Mukherji says, "the folks at BCBSM are right: Do the right test. At least bring cost into the dialogue about doing the right things at the lowest possible cost. Just try to do what's right for each patient." McKenzie cautions that radiologists still aren't sure about how they'll be paid in an ACO. Independent-minded groups who want to continue offering imaging services on a contracted fee basis will likely find their services fully commoditized—and the price-per-service driven toward all-time lows. A contract radiology group might avoid sharing the risk, McKenzie notes, but they will likewise avoid sharing in any reward the ACO earns. Historically, health systems have treated radiologists as just pairs of well-trained eyes tasked with reading and interpreting images for the ordering providers. Whatever happens before and after the imaging encounter is up to the referring physician. In the future, McKenzie predicts, radiology will be asked to take a greater role in care coordination. 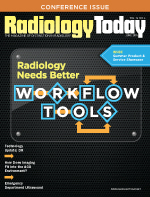 Radiologists must become proactive in providing decision support, according to McKenzie. Radiologists, McKenzie says, need to follow up with referring providers. Did they receive the report? Did they have any additional questions? Are they contemplating further studies? It goes well beyond any "send it and forget it" reporting process, according to McKenzie. McKenzie expresses concern that ACO payment arrangements might call on radiologists to share in a risk-reward program over which they have little influence and no control. If a radiology group simply contracts with an ACO on a more-or-less traditional fee-for-service contract, it will have virtually no control beyond their internal quality and customer-service procedures. "As costs continue to rise and reimbursement remains flat or declining, more radiology groups will look more closely at hospital employment opportunities," McKenzie predicts. "Many see employment as a 'pressure-relief valve' they can use once the cost-vs-reimbursement pressure becomes unbearable." Dan Corbett of Radiology Business Solutions (RBS) believes that some kind of tighter integration or affiliation will prove best in the long run for radiologists being swept along by the ACO wave. In his work as chief of business development for RBS, Corbett has met with radiologists across the nation in a wide range of practice settings. He and his colleagues see few radiology groups who have fully embraced the ACO concept, but most are moving ahead proactively in what he calls "ACO prep mode." Groups are taking cautious steps to be ready for what may come. They are identifying viable partners to work with in this brave new world, because small and medium-size players will not be able to go it alone, Corbett says. Corbett sees hospitals sorting out potential partners to see what alliances make the most sense. They seek potential partners with common interests. Corbett doesn't believe that even moderately large hospital systems will be able to form the "critical mass" required to develop a fully functioning ACO. RBS specializes in what Corbett calls the hybrid employment mode for radiologists. The hospital or health system acquires the hard assets of the independent group—including its outpatient centers—and directly employs the physicians. But rather than simply reining in the radiologists as just another hospital department, they set up a doctor-led governance structure (with hospital administration participation) that feels very much like an independent physician group. The hospital pays the group a contracted lump sum based on expected work RVU output at "fair market price" (based on objective benchmarks like MGMA's productivity surveys), and the group has control over how the compensation is divided among the physicians. They determine how doctors are paid—salary, productivity, shift work, and "good citizenship" components. Such an arrangement relieves the radiologists of business operations, billing, capital requirements, and other headaches of practice ownership, and the five-year contracts offer more stability than the ups and downs of month-to-month reimbursement fluctuations. Corbett sees this security as a great benefit as the hospital system joins or forms an ACO. As groups consider how to position themselves to survive—and maybe thrive—in an ACO, Mukherji suggests that the "The biggest challenge is sorting out the mess—the hundreds of different criteria being introduced by competing payers." He believes groups will be hard-pressed to come up with one failsafe, definitive strategy for ACO participation. McKenzie predicts that even the ACOs that are already emerging won't be fully developed value-based, population-health managers for another three to five years. He notes that doesn't mean groups should sit on the sidelines and wait. Mukherji advises radiologists to get a grip on the data available. Mine your data to determine whether you are doing a good job as a "steward" of health care dollars and resources. The better you know your own data, the better prepared you will be at the negotiating table. McKenzie agrees with the focus on metrics. As ACO offers arise, make sure to understand what responsibility will fall to participating radiologists. Persistently ask what will be expected from a participating group. Where does a radiologist's responsibility begin and end? What will be measured? Who will be measuring it? Radiology groups should position themselves to have all internal metrics in place so that measures to prove cost-effectiveness, efficiency and quality, and patient satisfaction are in place. Corbett notes that radiologists have had more data about their performance than many other specialties. "PACS and RIS systems generate and maintain some of the richest data for quality measures you can find," he says. "Yet many groups don't bother to mine this data, and even more are loath to share it with someone else." More importantly, Corbett points out, ACOs will continue to drive consolidation that small and medium-sized independent groups may not be able to survive if they continue to resist tighter affiliation with hospitals. With that in mind, he advises groups to divest themselves of competing positions with local hospitals. Figure out how to joint-venture or integrate with the hospital because, Corbett believes, the hospitals—not the doctors—will drive the ACO movement. Some groups will be essentially held hostage by senior members that want to hang on to independence a little longer so those senior partners can safely retire. They could seriously damage their young associates future success by refusing to play ball with hospitals trying to form ACOs. "Don't let a few senior physicians take the whole group down," Corbett advises. • get the business in order—from finances to operational processes and quality measures. With confidence in your own business and an understanding of where the industry is headed, groups will be better able to explore options creatively and with an open mind. And that will improve the chances for a successful transition into the ACO environment. — Timothy W. Boden, CMPE, has spent 29 years in practice management as an administrator, consultant, journalist, and speaker. He resides in Starkville, Mississippi.